Skye Gravestones | Margaret (Beaton) & Malcolm McArthur. Margaret (Beaton) & Malcolm McArthur. 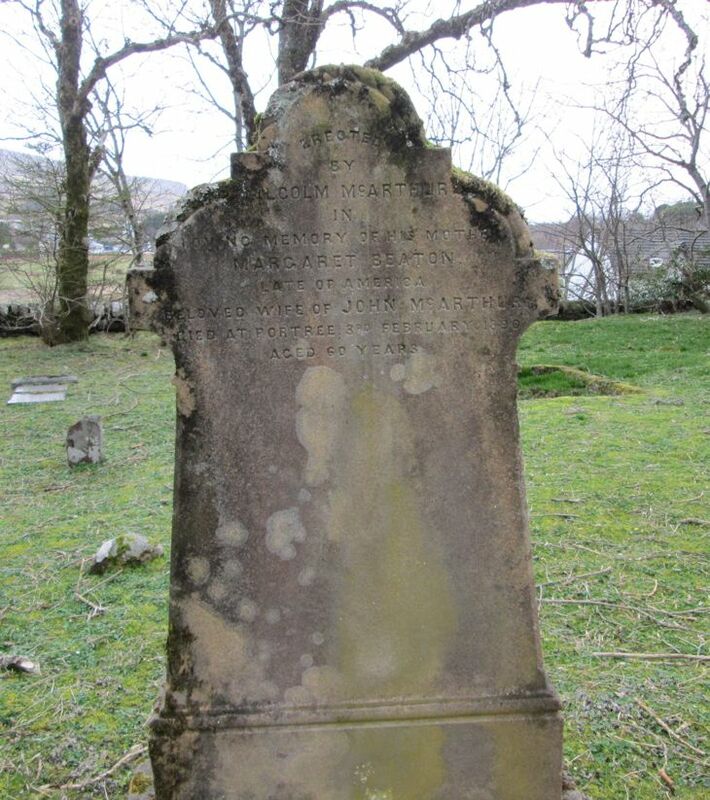 Erected/by/MALCOLM McARTHUR/in/loving memory of his mother/MARGARET BEATON/late of America/beloved wife of JOHN McARTHUR/died at Portree 3rd February 1890/aged 60 years.